commented on "Dining Chair Reupholstery - new covers and repairs available at JARO, Melbourne, Gippsland areas"
We can repair dining chair springs, padding, frames and covers. Email/contact us for a free quote! commented on "JARO, Reupholsterers for Melbourne, Gippsland and Mornington Peninsula areas." 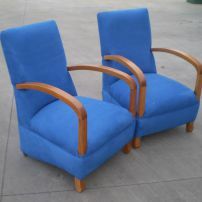 JARO, Reupholsterers for Melbourne, Gippsland and Mornington Peninsula areas. JARO's upholsterers are experienced in all types of sofa, chair, bed, caravan and boat upholstery. 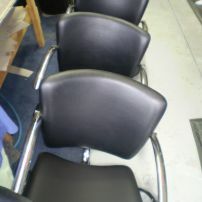 commented on "Reupholstered Chairs for a Hairdresser/Salon in Melbourne"
Do your chairs to recovering in vinyl, fabric or leather. The friendly team at JARO can help you. 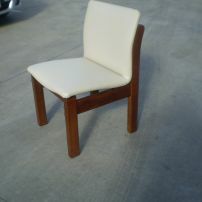 commented on "Upholstery Repairs Melbourne - Does your chair or sofa need reupholstering or repairs? See JARO!" 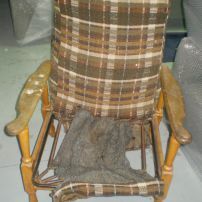 Upholstery Repairs Melbourne - Does your chair or sofa need reupholstering or repairs? See JARO! commented on "Reupholstery of old Chairs available in Melbourne, Mornington Peninsula, Gippsland areas"
We have the latest in fabrics for you to pick from. Email a picture for a free quote. 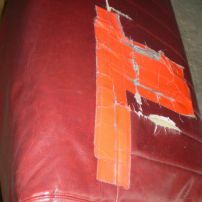 commented on "Melbourne's Banquette & Booth Seating Repairs, Repadding & Reupholstery Specialists!" Melbourne's Banquette & Booth Seating Repairs, Repadding & Reupholstery Specialists! Repairs needed? 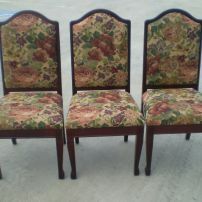 We can bring your furniture back to life! Email us a picture for your free quote!